What: On street bike corral parking. Where: On Spadina Avenue in front of the Robertson Building, just south of Dundas Street. 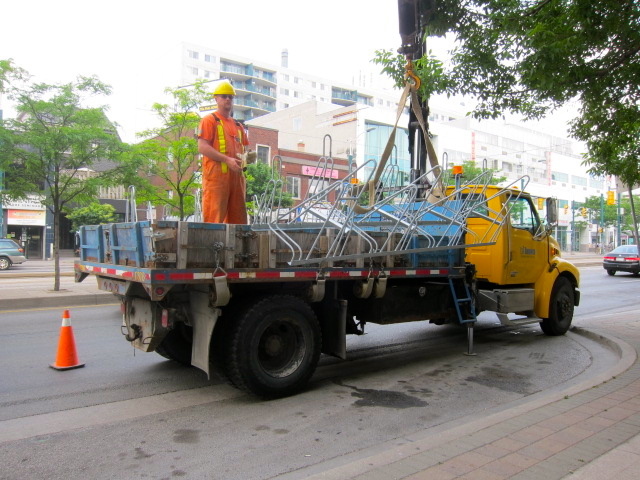 Why we love it: The city always needs more bike parking! This stretch of sidewalk on Spadina Avenue is always packed with locked bikes, so this corral will definitely be well loved. 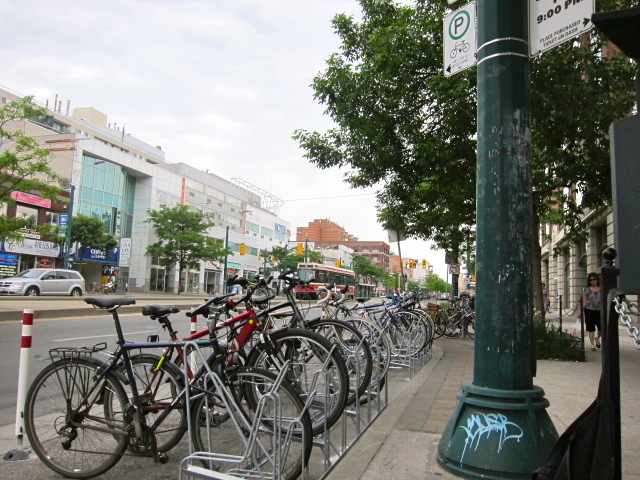 What’s bike parking like in Kensington Market? Subscribe today to get our Summer 2012 “youth” issue delivered to your door.